Has your air conditioning system passed its prime? Keep your home cool and comfortable with professional A/C system sales and installation from Progressive Service Company. Our Apex cooling system technicians install all the major air conditioner brands, including Trane, Carrier, Lennox and more. The Progressive Service Company team provides expert advice and quick, reliable installations to meet all your air conditioning needs. With our 100% satisfaction guarantee and 24/7 emergency response, you can rest easy knowing that your new A/C system is backed by unparalleled customer service. 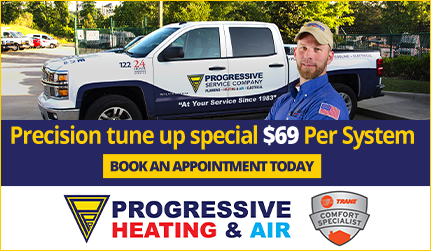 If your home cooling system is beyond repair, you know who to call: Progressive Service Company, Apex’s trusted resource for air conditioner installations. At Progressive Service Company, we’re proud to provide A/C system installations to customers in Apex and the surrounding areas. 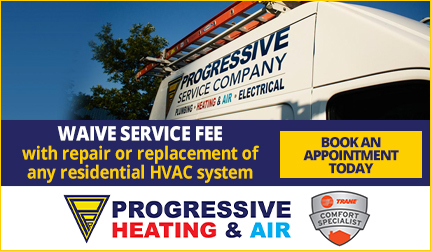 When it’s time to replace your home heating system, there’s only one name you need to know: Progressive Service Company. Our Apex heating installation specialists offer skilled service and a 100% satisfaction guarantee. At Progressive, we install all major brands of furnaces, including Lennox, Trane and Carrier. As a Dave Lennox Premier Dealer, we’re the Triangle’s preferred provider of Lennox HVAC system sales and installations. Learn more about our Lennox Premier Dealer certification. Not sure which heating system is right for your home? Call our Apex HVAC pros for expert advice – we’ll help you decide on a furnace and will provide quick, reliable installations. 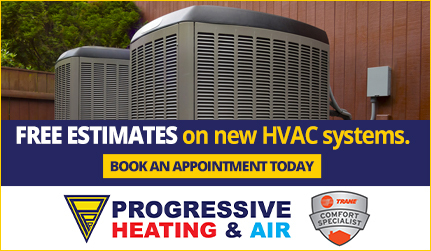 Plus, at Progressive, we provide free estimates on all heating installations and replacements. Expert advice, skilled installations, premium HVAC systems, all backed by 24/7 emergency repairs and a 100% satisfaction guarantee. That’s the Progressive difference.